VST, or AAX (Pro Tools 10, 11 & 12 DSP* & Native) host. 32 & 64 bit. iLok dongle is optional - you may install the license on iLok for portability. Only one license is required - works on all supported platforms. * All plugins, except MH Dirty Delay, support AAX|DSP. Mac OS X 10.6.8 or above. AU, VST, or AAX (Pro Tools 10, 11 & 12 DSP* & Native) host. 32 & 64 bit. This bundle contains 8 products. You save 51% from the $1,432 regular price! 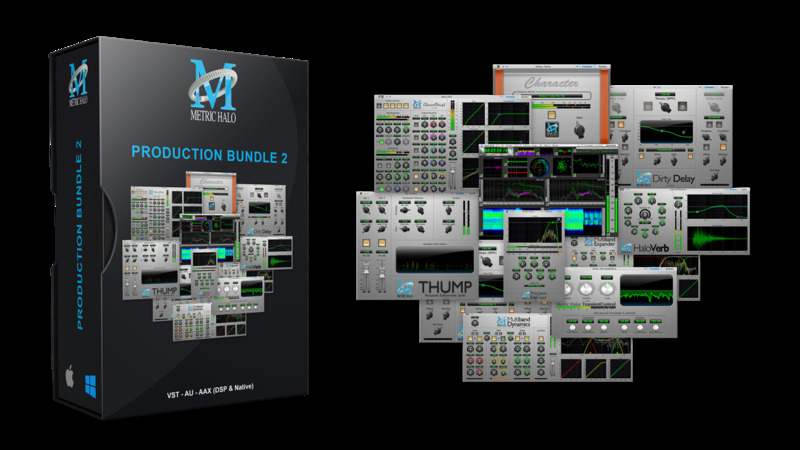 Production Bundle is a suite of signal processing plug-ins that let you stop recording and start making records. 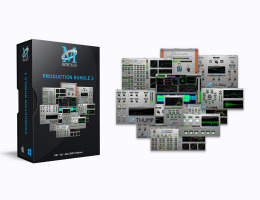 With all the critical tools you need to shape, tame, manipulate, and master your tracks, it is the essential audio engineering toolset that no one should be without. The Production Bundle includes 8 fantastic sounding plugins that will help you bring your work to new levels: MH ChannelStrip, MH Character, MH HaloVerb, MH Dirty Delay, MH Precision DeEsser, MH Multiband Dynamics, MH Multiband Expander & MH TransientControl. Plugivery is an official distributor for all Metric Halo's products.